The ex Mount Newman Mining M636 locomotive No.5499 previously reported as being donated to ARHS by BHP was actually donated to the Torres Strait Islanders (better known as Thursday Islanders). The locomotive was originally due to go to the islands then Queensland but problems have prevented this. 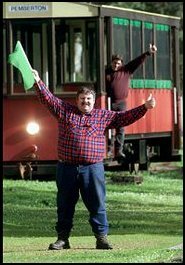 ARHS have agreed to give the locomotive a home at the Rail Transport Museum, Bassendean. 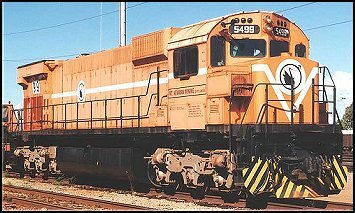 The Alco will most probably eventually be transferred to the old Midland Workshops when a permanent location is allocated by the Midland Redevelopment Authority. The Torres Strait Circle of Elders in Perth would prefer this location as they were first based in Midland when they came to W.A. in the 1960's to begin construction of the W.A.G.R. standard gauge line. The locomotive is expected to arrive sometime next week and will be placed on a specially laid 25m section of heavy Pilbara rail at the museum. 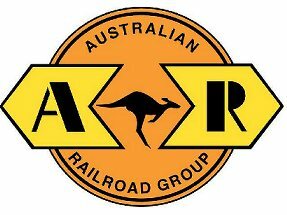 Six wagons of an Australia Western Railroad train carrying alumina from Alcoa's Pinjarra refinery to the Bunbury port were derailed early today (Friday 26 July 2002). 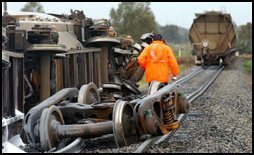 The derailment occurred at 6.25am, about 1km south of Brunswick Junction, north of Bunbury. No one was injured. The derailed wagons, which each weighed about 80 tonnes, blocked an access road to a cattle sales yard. The track also is used by the Bunbury to Perth Australind train service and services for the train will run as normal but passengers would be taken around the crash site by road coach. The track is due to re-open on Sunday (28/7/02). Westnet, which owns the rail link, is investigating the cause of the derailment, no locomotives were damaged in the derailment. As of today the Pemberton Tramway has secured suitable insurance to enable full operations to resume. Trams will commence running on Friday 19th July 2002 with Warren River Trams Departing at 10.45am and 2.00pm everyday. Steam Train services hauled by V 1213 will recommence on Saturday 20th July to Eastbrook Siding at 10.30am and 2.15pm and on Sunday to Lyall departing at 10.30 am each weekend. Ex Mount Newman Mining locomotive 5499 has been donated to the Australian Railway Historical Society by BHP Iron Ore. 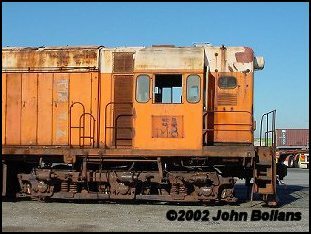 The locomotive was the last of the M636 type to operate in the Pilbara and will be the first standard gauge locomotive for the ARHS (WA) collection. 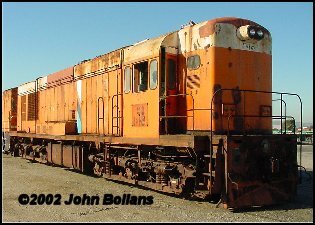 It is unsure whether the locomotive (minus its power unit) will be brought to the Bassendean museum, or the old Midland Workshops when it makes the journey down to Perth in a few days time. The national insurance crisis has hit Western Australia with the popular Pemberton Tramway forced to close until public liability insurance can be sought. The closure will see Pemberton without its major tourist attraction operating for the upcoming school holiday period. 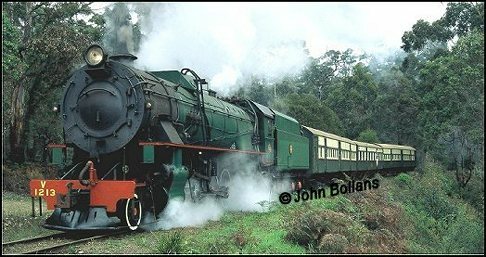 The Bennett Brook Railway at Whiteman also is under a cloud with its premium due to rise from $6500 to $45,000 in November. In todays "The West Australian", Opposition Leader Colin Barnett and Association of Rail Preservation Groups president Lindsay Watson called on the Government to act immediately. South Spur Rail have taken delivery of their fifth standard gauge locomotive in D48. The ex Goldsworthy No. 7 locomotive arrived from BHP Port Kembla in June 2002 and is currently stored at Kewdale. South Spur Rail purchased D48,D46 (frame) and D50 (accident damaged) earlier this year and the latter two locomotives were stripped of all useable parts and scrapped. D48 is expected to be fully operational by the end of 2002.